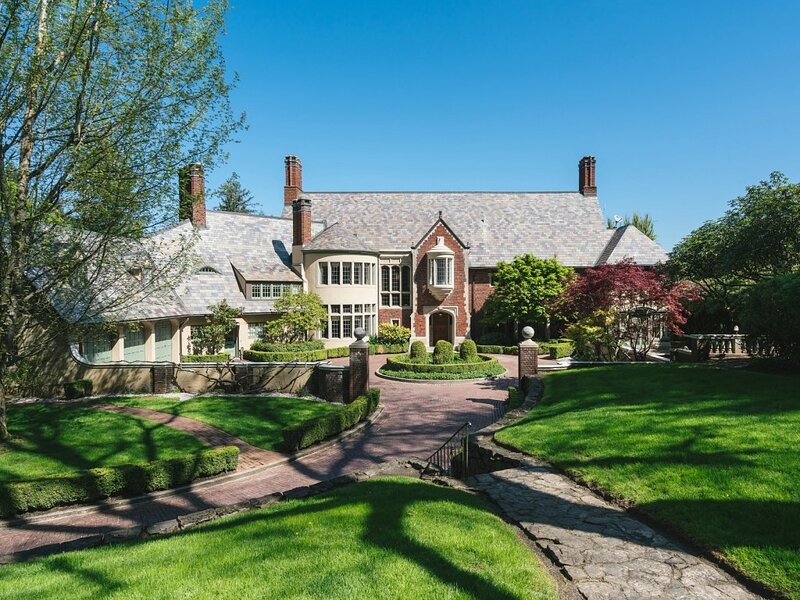 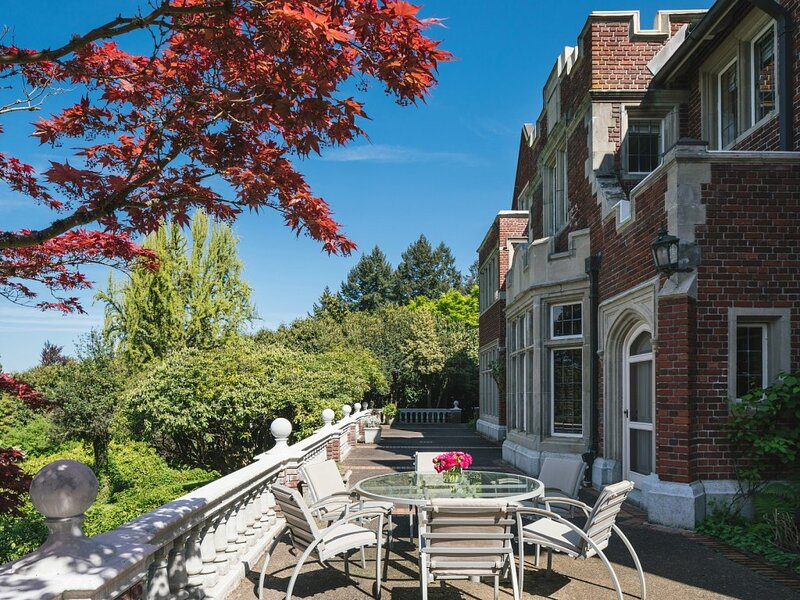 One of Oregon's most famous houses, the 1918 Frank J Cobb House (mansion) in Portland, designed by architect Albert E. Doyle. 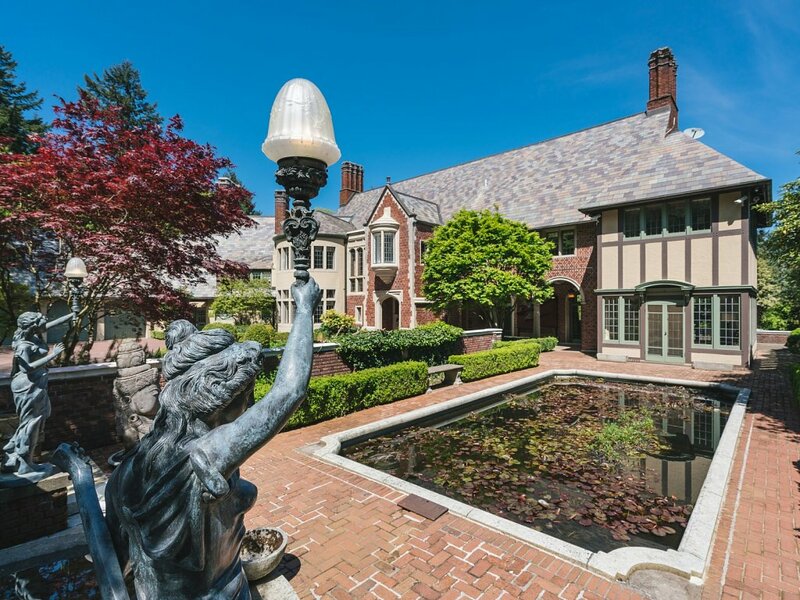 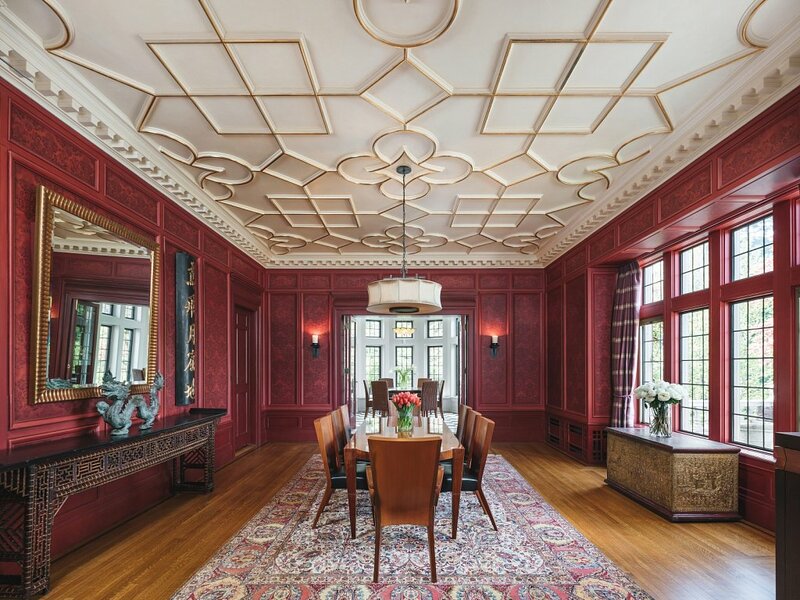 The Jacobethan-style mansion with Tudor touches is the largest residence Doyle designed. 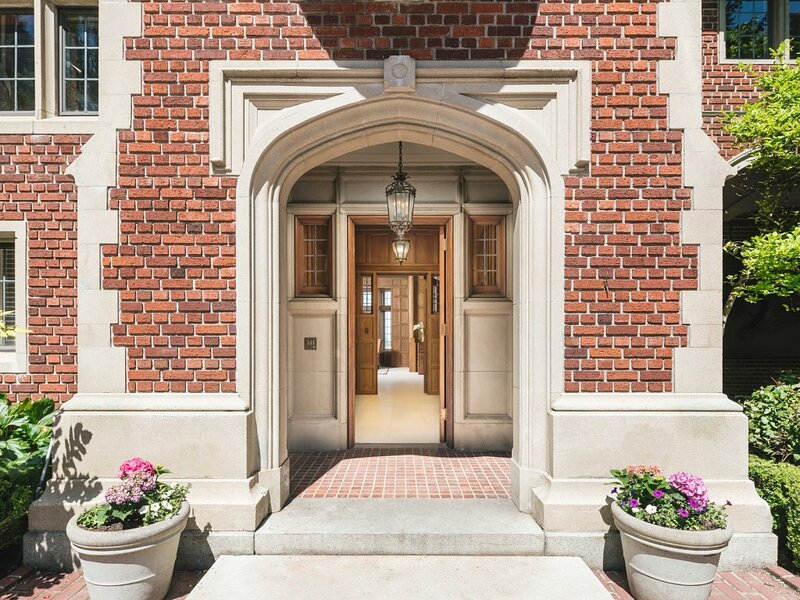 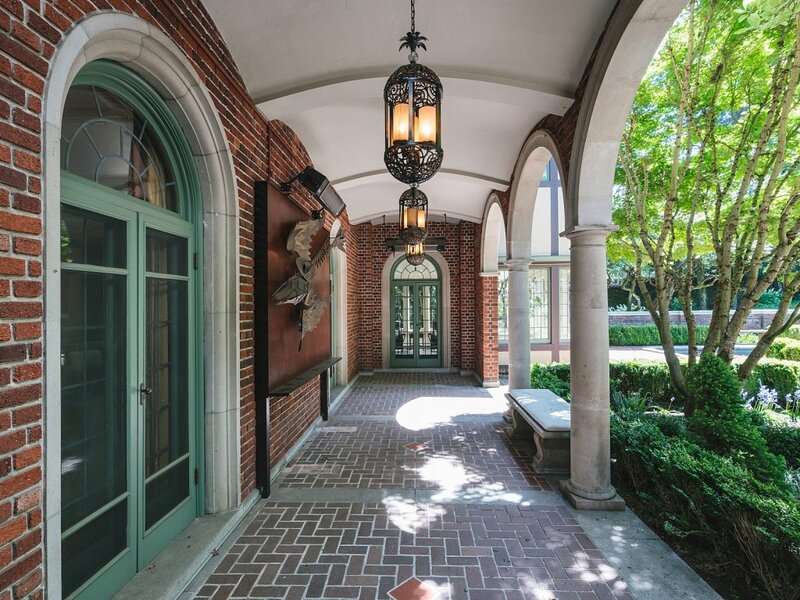 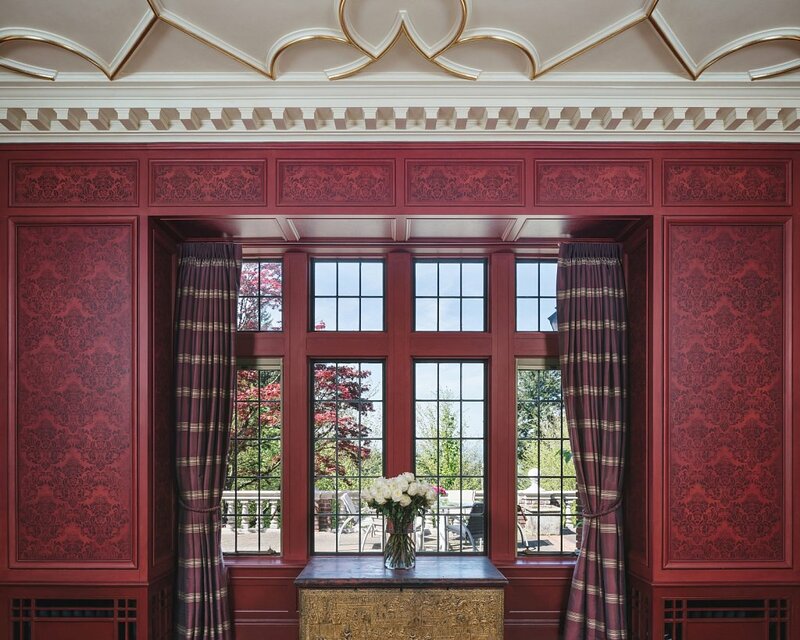 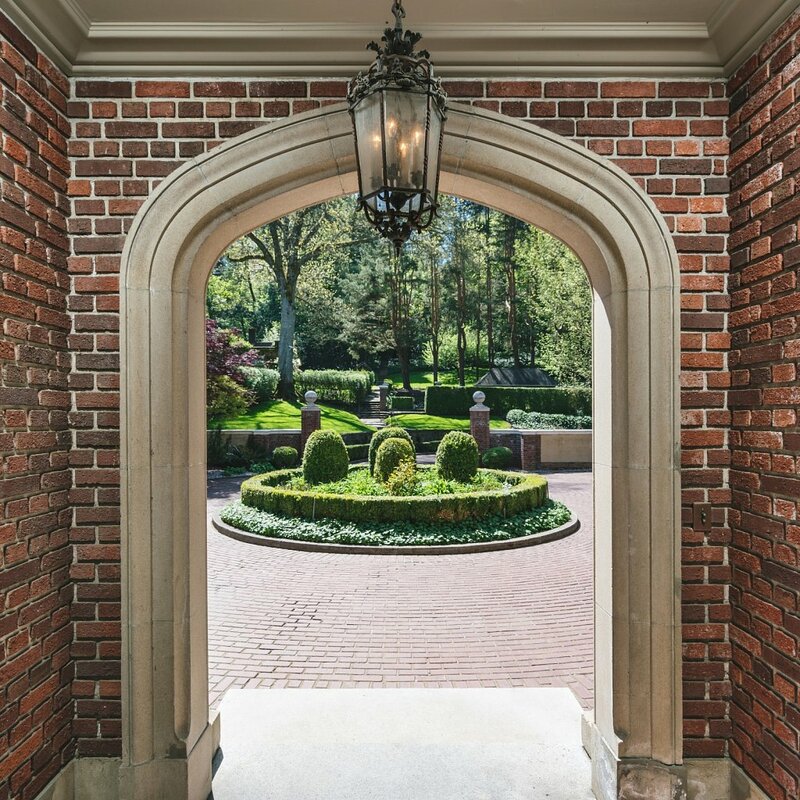 At the center of the mansion's semi-circular drive is a Tudor-arched entrance porch with an oriel leaded-glass window trimmed in stone. 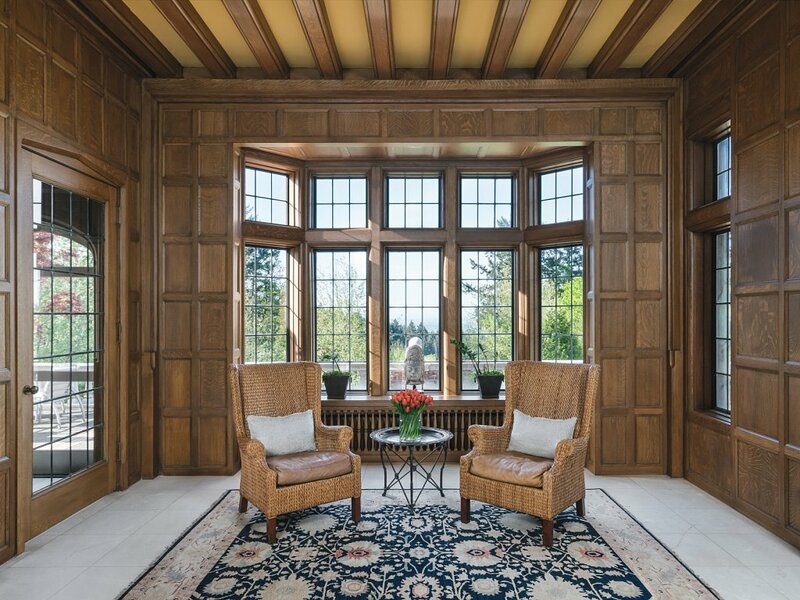 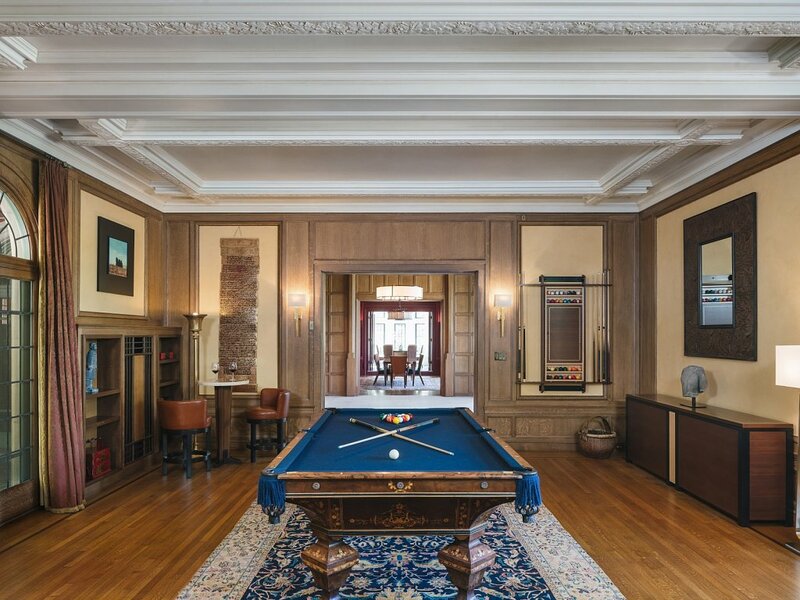 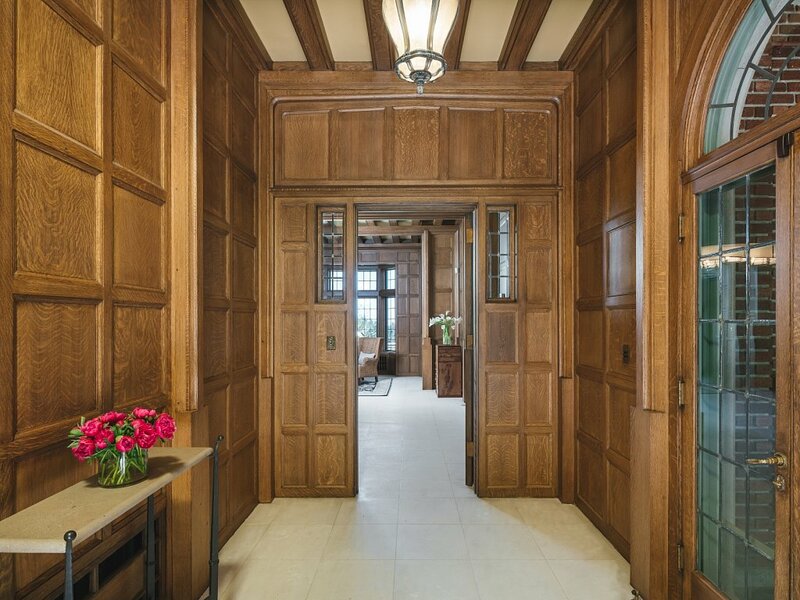 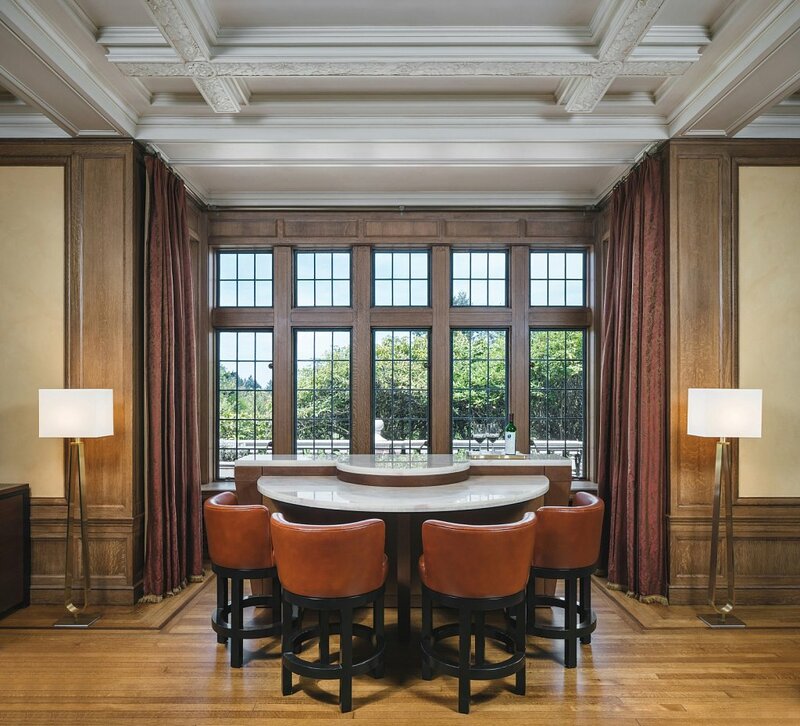 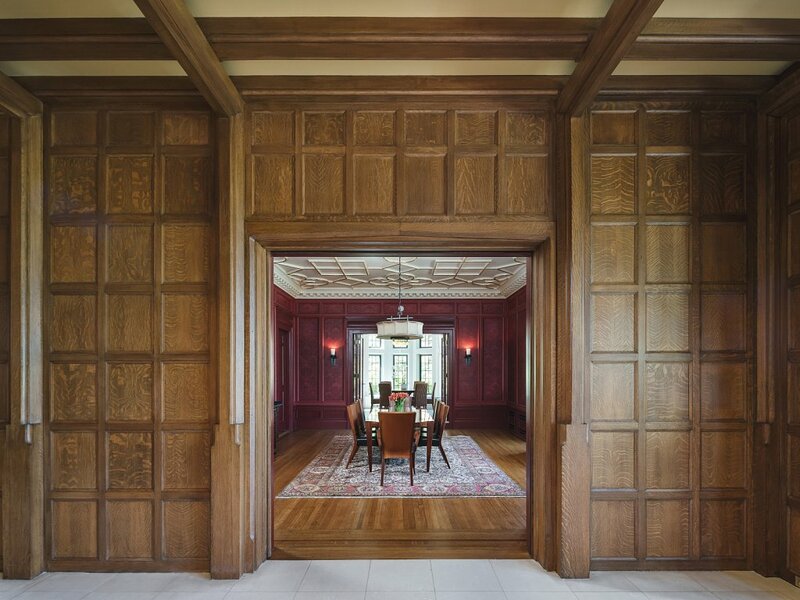 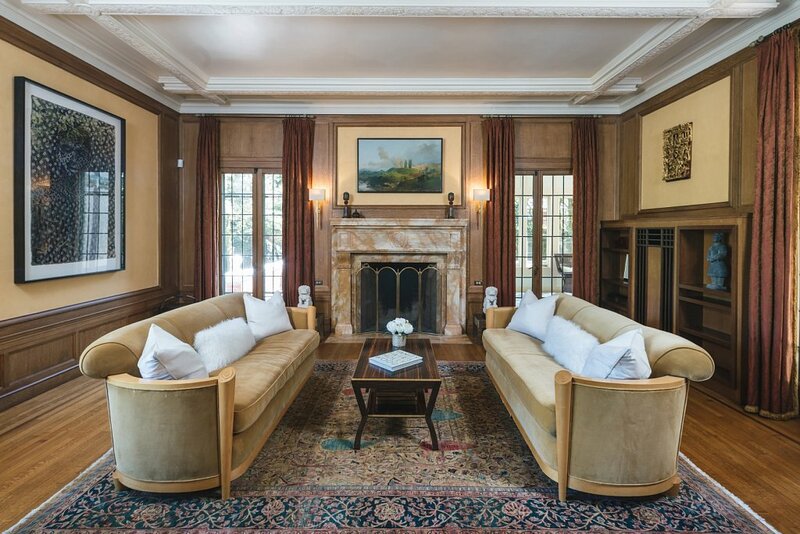 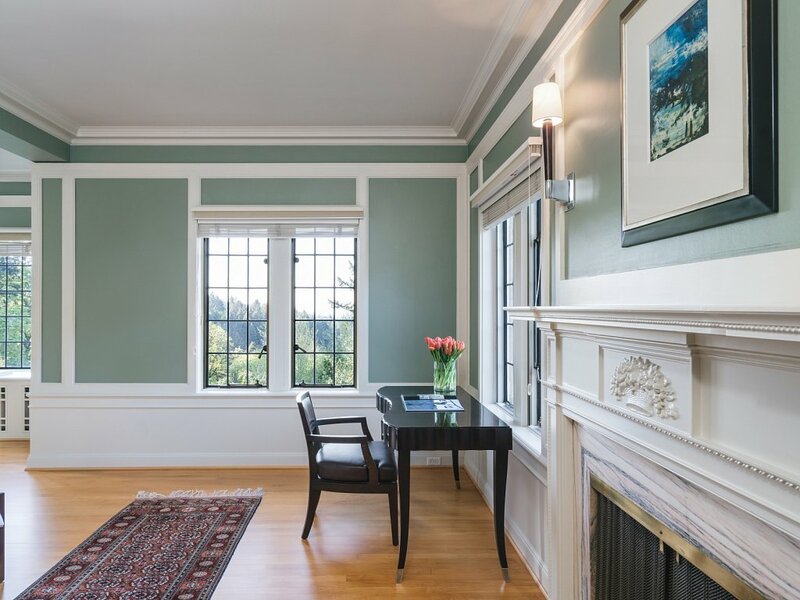 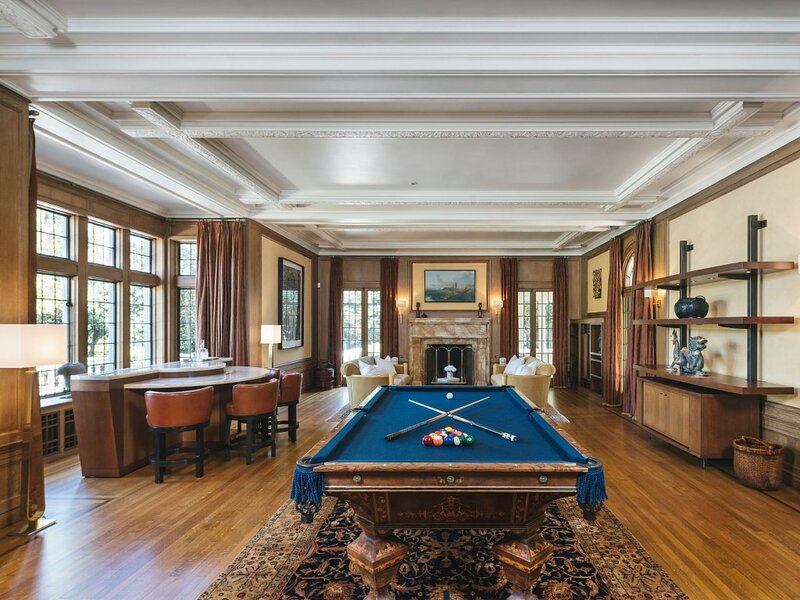 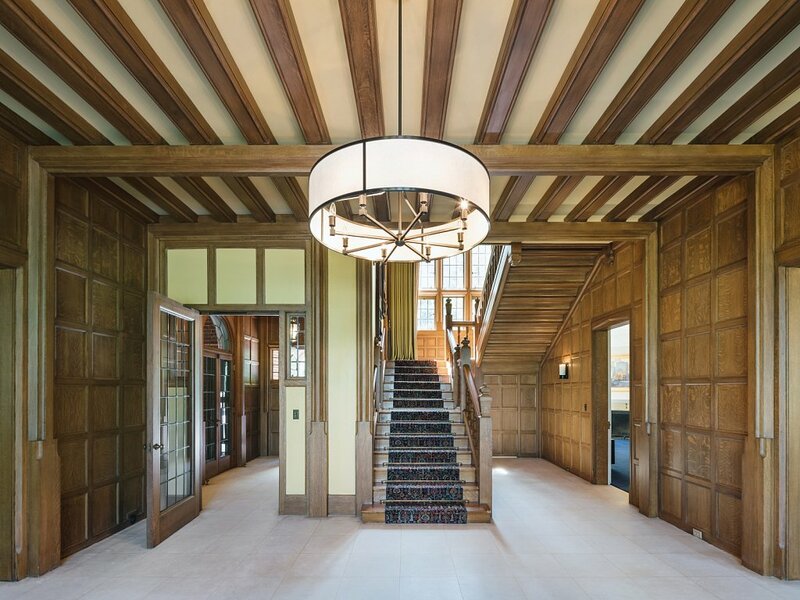 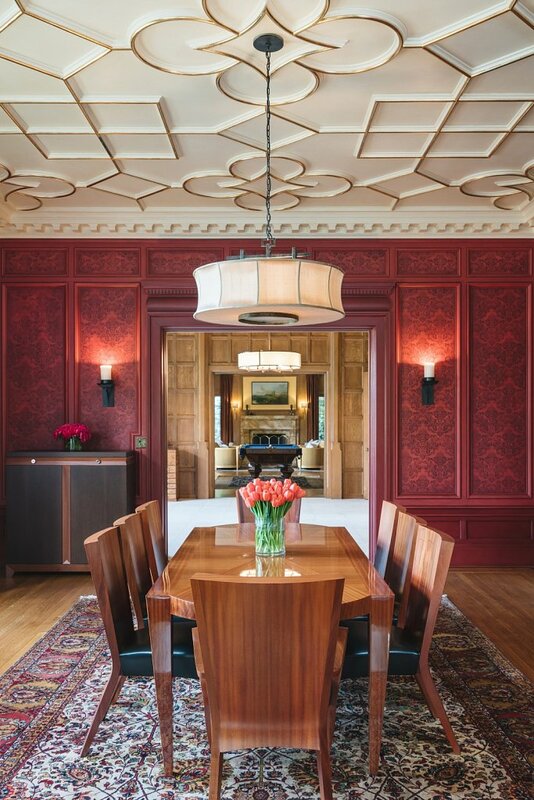 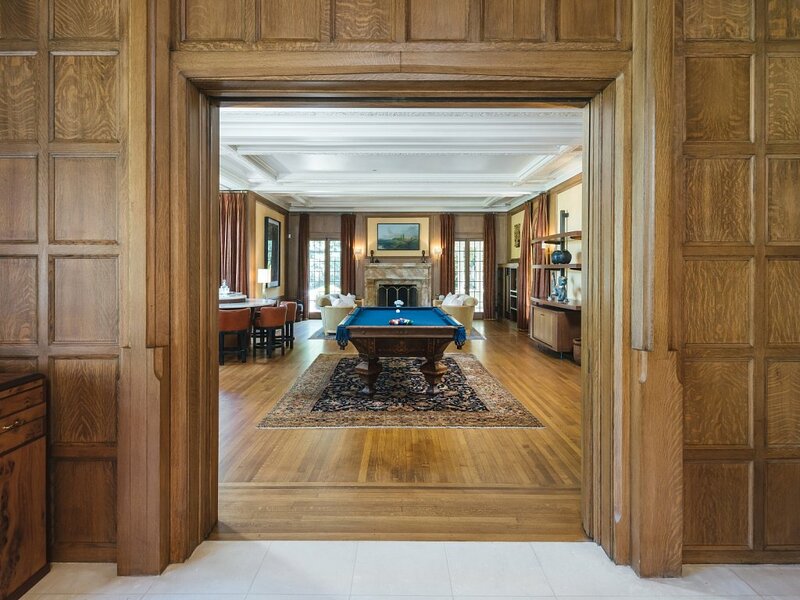 Open the doors to a grand foyer that leads to formal rooms with oak beamed ceilings and paneling and marble floors. 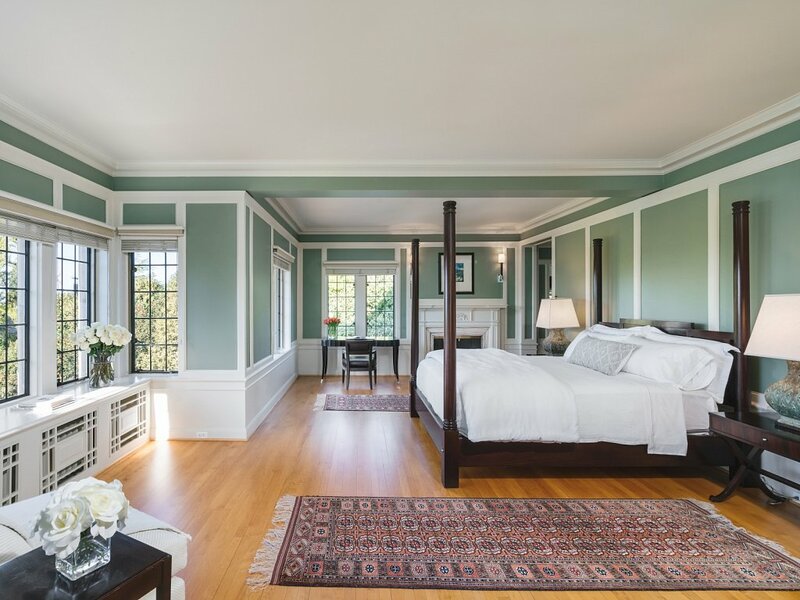 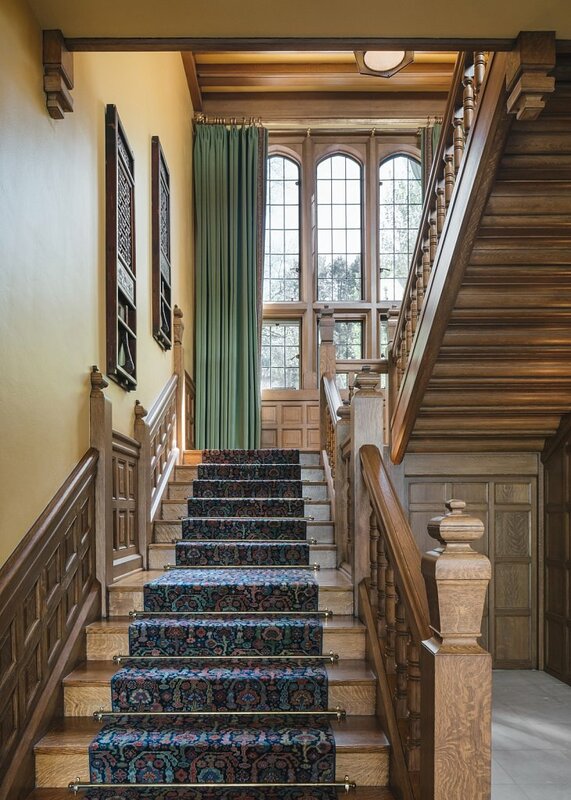 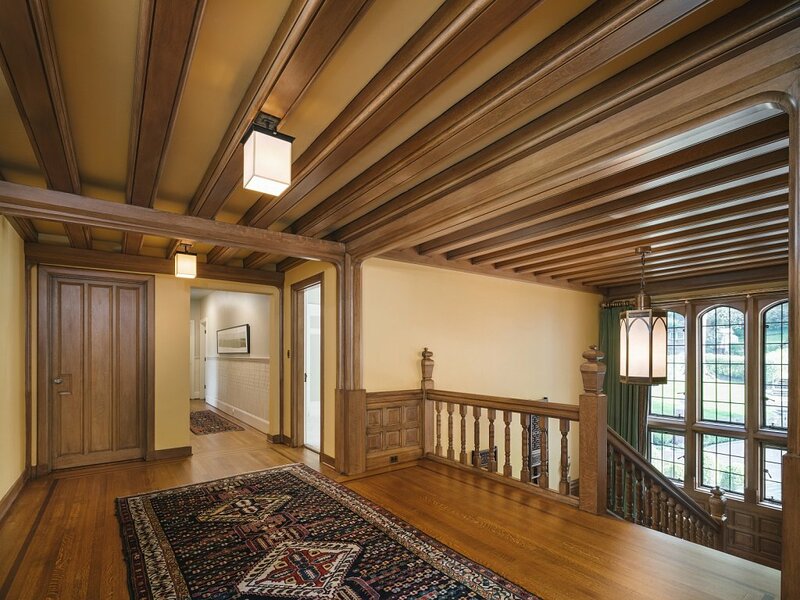 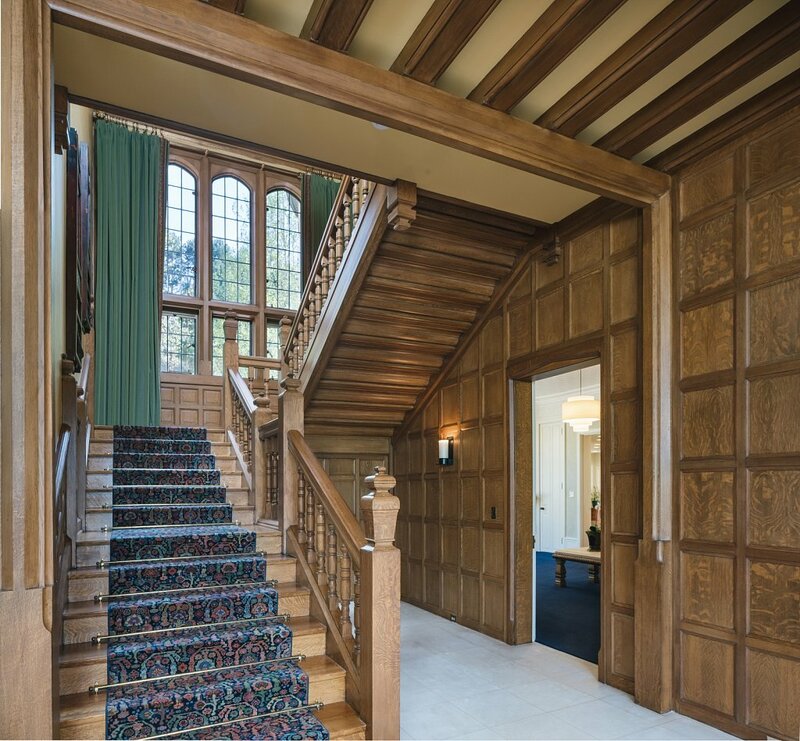 Up the stairs, lined with oak railing and carved balusters, are seven bedroom suites. 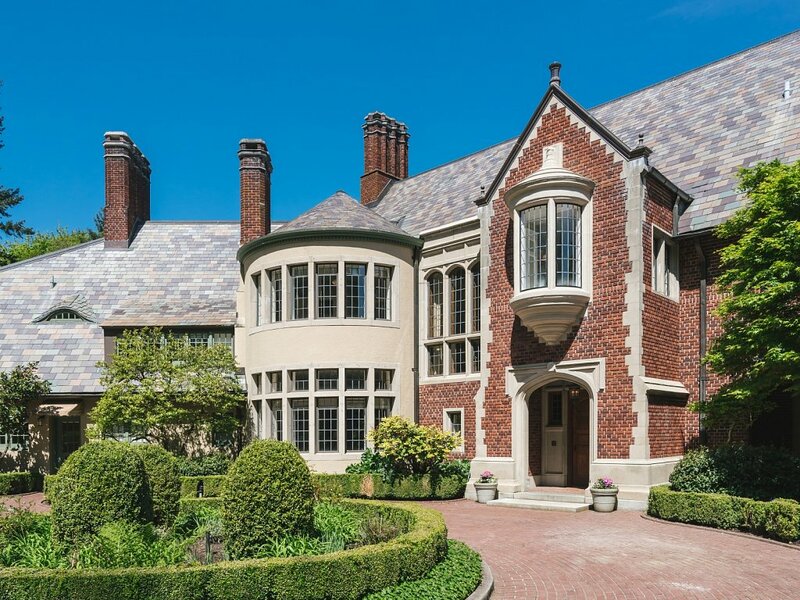 Classic Jacobethan Revival features outside include a two-story turret with a conical roof, five fluted chimneys and contrasting stone quoins accenting corners. 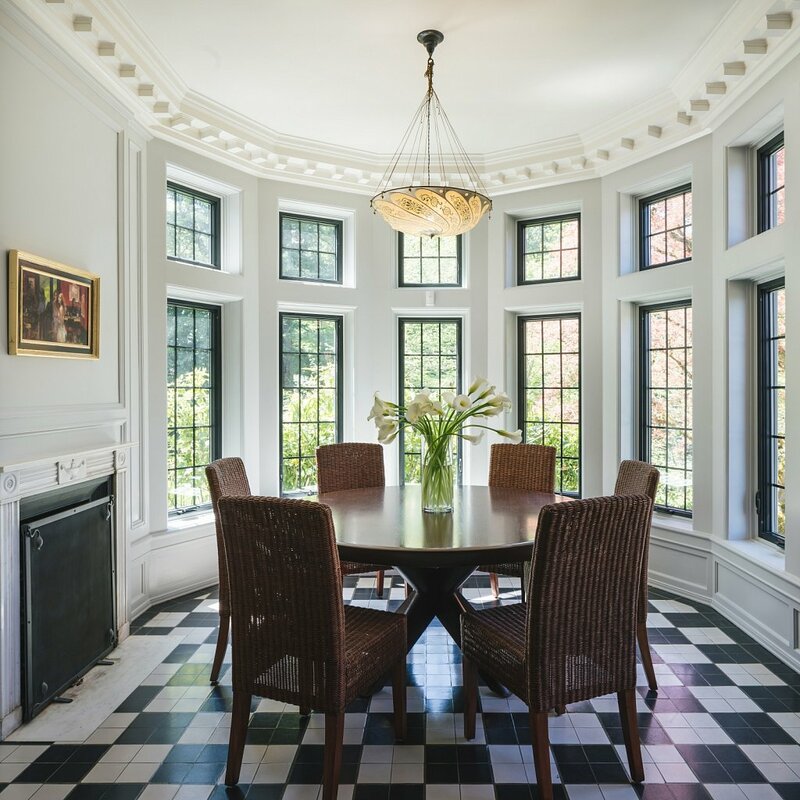 The house is also noteworthy for its modern rooms: Banks of glass seemed to erase the boundary between the inside and out. 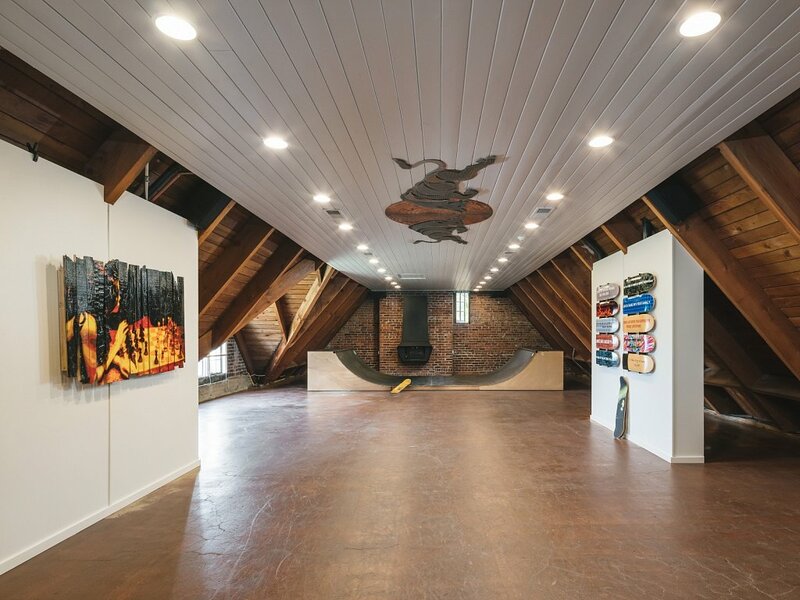 Don't miss the home theater, swanky bar area and indoor skateboard ramp. 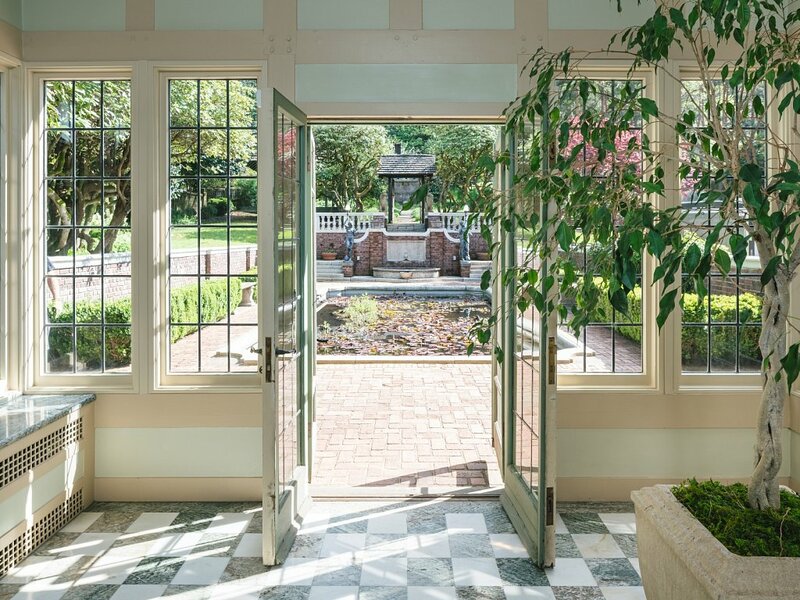 Large windows, a loggia with three arched openings defined by stone columns and a dramatic terrace overlook expansive lawns, formal gardens and a lily pond that complements a Japanese-style tea house. 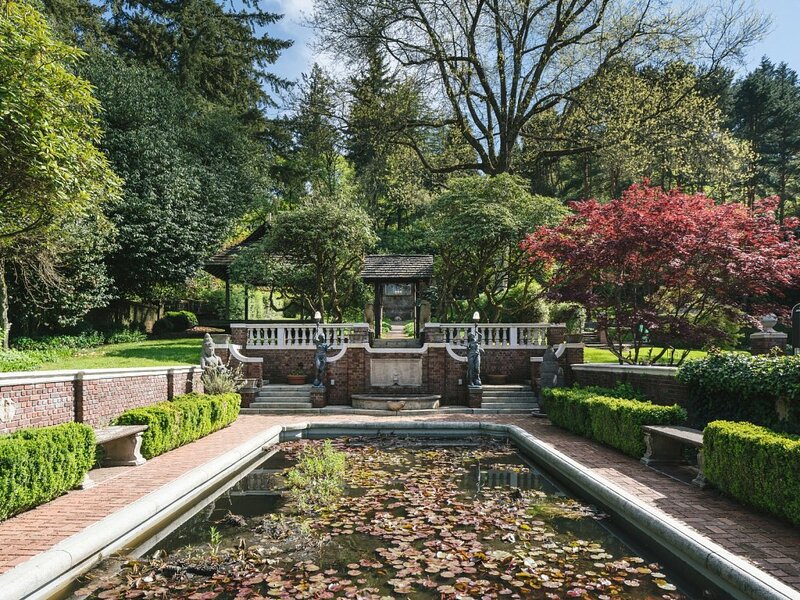 The original landscape features were also designed by Doyle.